To view the Clif Family website, you must be 21 years of age or older. Please verify by clicking below. A gift of food and wine is perfect for any occasion. 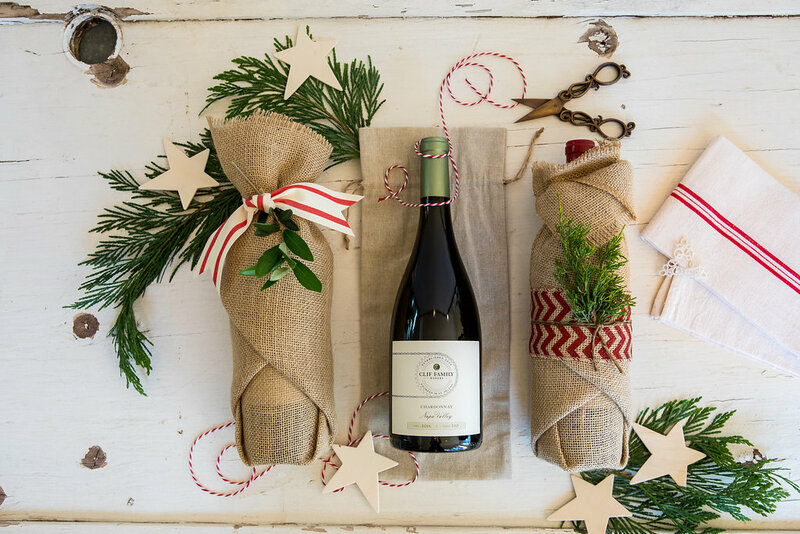 At Clif Family we curate a selection of gift offerings featuring our Clif Family wines and artisan food products. Whether you are looking for a gift for a client, employee, referral, or just something to say thank you, our gifts will surprise and delight everyone on your list. Looking for the perfect wedding favors, conference goodie bags, event or thank you gifts? Look no further! Our small production wines and artisan food products are a perfect way to show your appreciation. Allow us to be your source for wedding favors, event goodie bags or corporate group goodie bags. Every gift comes wrapped in our signature gift packaging. Gift cards are available for an additional fee. Napa Valley home with our Clif Family tasting room and Bruschetteria food truck. Our organic farm and vineyards located high atop Howell Mountain provide a bounty of grapes, olives, fruit and vegetables to fuel our journey. We hope you find time to slow down, fill your glass and spend an afternoon with us. History Clif Bar co-owner’s Gary Erickson and Kit Crawford began their love of food and wine with cycling adventures through Italy where long days of cycling would end in leisurely evenings of good wine, food and hospitality. As great lovers of food, wine and adventure, Gary and Kit sought to bring these memorable experiences to their.. Learn More Napa Valley home with our Clif Family tasting room and Bruschetteria food truck. Our organic farm and vineyards located high atop Howell Mountain provide a bounty of grapes, olives, fruit and vegetables to fuel our journey. We hope you find time to slow down, fill your glass and spend an afternoon with us.